Lattice Works is Shared Future's multi-faceted approach to encouraging and developing social enterprises (SEs) within a specific area. Typically delivered over a 6-12 month period, the programme is suitable for both brand new start-ups and established organisations considering, or wishing to extend, the SE model. Seedlings: One to one support and signposting for new social enterprise start-ups. Seed (Social Enterprise Encouragement and Development): One to one support for established social enterprises or those wishing to adopt a social enterprise model. Pip (Participatory Investment Programme): Using a participatory budgeting format to distribute small grants to develop new services or products that can generate future income. The awards are decided in part by the local community. Thrive! 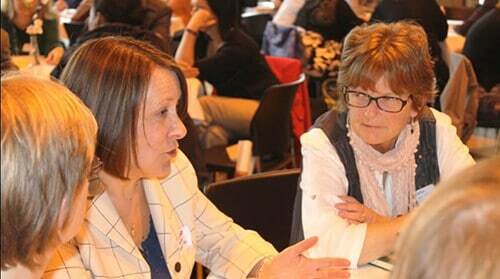 : Workshops for those new to the world of social enterprises. Action Learning: Collaborative peer-to-peer leadership and strategic skills learning programme. Crowdfunding: Community platforms to leverage in additional funds. Impact evaluation: We can advise on or undertake a wide range of social impact support, to prove how your social enterprise of not for profit organisation adds value beyond its financial turnover. Lattice Works also works with existing infrastructure support in each area to develop sustainable future social enterprise support, making it a cost effective way to enable community organisations to develop, grow and adopt a more resilient approach with the help of their peers. Complete our support request form to ask for our help. Where is Lattice Works available? The funded support we provided for new start up social enterprises in the North West via the UnLtd Lead The Change programme has now ended. We supported more than 60 projects with a social mission as part of this process and continue to seek other partners to fund the delivery of our tried and tested ‘Lattice Works’ programme. If you are interested in being a future partner, please see our social enterprise page for the type of work we can deliver and the results we’ve achieved. We are of course happy to offer bespoke support for individual social enterprises looking to improve the way they work. If you would like more information, please contact Jez Hall. We offered a range of services available in the areas below. Lancaster district: Operating since 2011 with support from a range of funders, we continued one to one support through the UnLtd Lead the Change programme. You can read our evaluation report of the original LatticeWork project, from our years working in the district under funding from Lancaster’s Local Strategic Partnership, which was instrumental in developing the Latticework concept. Manchester: Launched in January 2015 in partnership with UnLtd’s Lead the Change programme, our service centred around offering Seedling support in the South Manchester area. Budding social entrepreneurs could access support to help them develop their ideas. Southport and West Lancashire: Launched in January 2015 in partnership with UnLtd, this support focussed on providing Seedling and Action Learning support to new local social entrepreneurs. Could Lattice Works be delivered in our area? Lattice Works is a tested and highly effective model for public bodies to both support the growth of local social enterprises, and/or distribute grants. Its focus on peer support and development means that the community as a whole is strengthened through the intervention, rather than becoming reliant on a short-term initiative that then leaves a gap on completion. 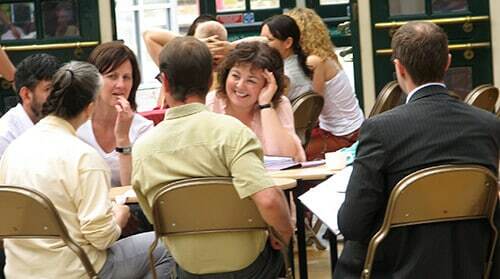 At a time when public bodies no longer have the same resources to support community organisations as they did five years ago, Shared Future can use its delivery model and experience in this area to encourage new organisations to develop, help existing ones become more resilient, and ensure limited funds are distributed to those that will make best use of them – in an open and participative manner. As Lattice Works has a number of component parts, support can be tailored to the needs of each area depending on budget, timescales, and existing infrastructure support.